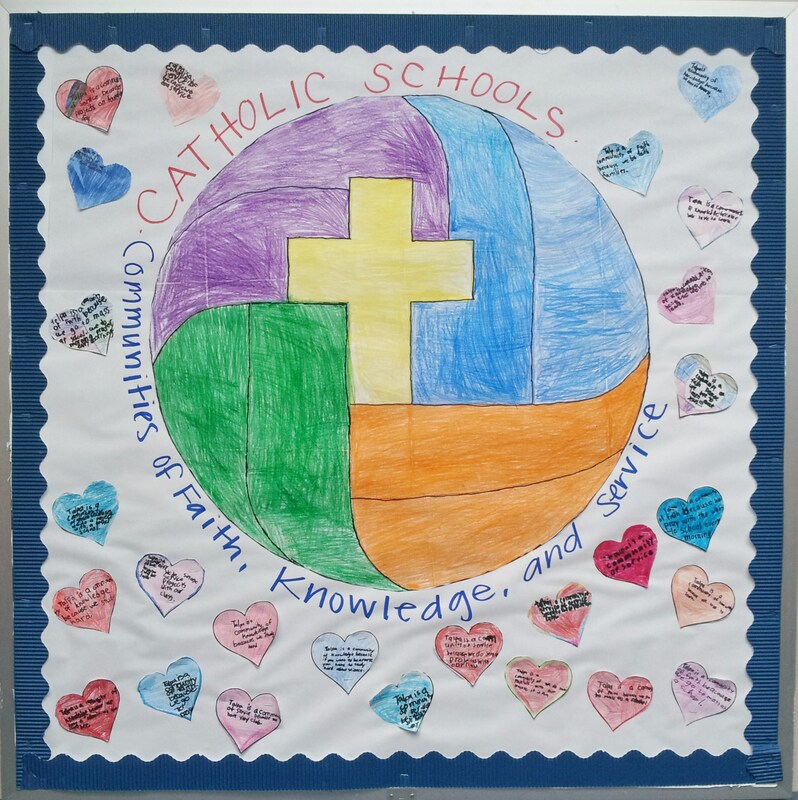 In honor of Catholic Schools Week (January 26th-31st) Our Lady of Talpa School participated in a variety of special celebrations and events. In addition to daily Morning Prayer in the auditorium, the Talpa community participated in the celebrations below. Thank you to our parents and families, faculty, staff, students and everyone who made these events such a success! Sunday, January 26: Eucharistic Celebration and Open House — The Talpa family began Catholic Schools Week 2014 with a Eucharistic Celebration at Our Lady of Talpa Church, which Student Council and the Talpa Choir prepared. Following Mass, students and families enjoyed touring classrooms and seeing student work on display at the annual Open House. Monday, January 27: Honoring Our Teachers/Staff (Teachers/Staff Appreciation Day) – Student Council prepared a breakfast for teachers and staff members. Tuesday, January 28: Honoring Our Faith/Vincentian Heritage (Faith Appreciation Day) – This day included a Faith Families activity, which the 8th grade class prepared. Students made a picture frame craft that they then gave to their parents on Parent Appreciation Day. Faith Appreciation Day also featured a skit that the 8th grade class prepared and presented to each of the other classes in the school to model and act out what service is. Wednesday, January 29: Honoring Our Students (Student Appreciation Day) – Students enjoyed a pizza lunch in their honor with their teachers in the auditorium. Talpa parents helped to make the lunch extra special by decorating the auditorium with tablecloths and balloons. Thursday, January 30: Honoring Our Families (Parent Appreciation Day) — This day included Talpa’s annual lunch/recess with students and parents. We were thrilled to have the largest turnout we have ever had at this fun celebration. Thank you to all the parents and family members who joined us for one of Talpa’s favorite traditions. It was clear that the parents enjoyed receiving their children’s picture frame gifts just as much as the students enjoyed preparing and giving them. Friday, January 31: Honoring Our Knowledge (Knowledge Appreciation Day) – This day highlighted the hard work and preparation of Talpa students during the school-wide Spelling Bee. Congratulations to all who participated!